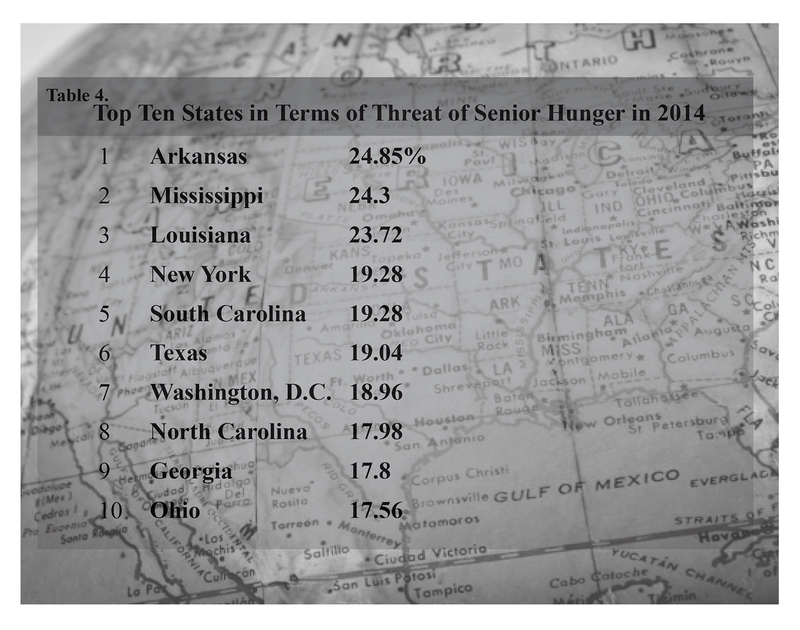 10.2 million seniors faced the threat of hunger in 2014 in the U.S.
View the rates of senior hunger by state. Link to the research on your organization’s website or in your newsletter. Below is a link to the research report so that you can post it on your website. You can also share the report in your upcoming newsletter or the blog post that you broadcast to your contacts. Need more information? Have questions? Let us know so we can help. A simple post can go such a long way in helping spread the word about these important findings. Copy and paste the post below to use on your social media networks. NFESH is working in and with communities to pilot innovative solutions to reduce and eliminate senior hunger. Contact us to learn about the senior hunger solutions we are introducing in communities or visit www.nfesh.org. Would your audience benefit from learning more about the problem of senior hunger? Contact us to learn more about having NFESH speak at your event. With more than 100 years combined experience in the aging/hunger arena NFESH is a respected authority on senior hunger. If you have any questions about the research or NFESH, please don’t hesitate to contact us.